Home of the Dutch Weed Burger and other seaweed based fastfood. 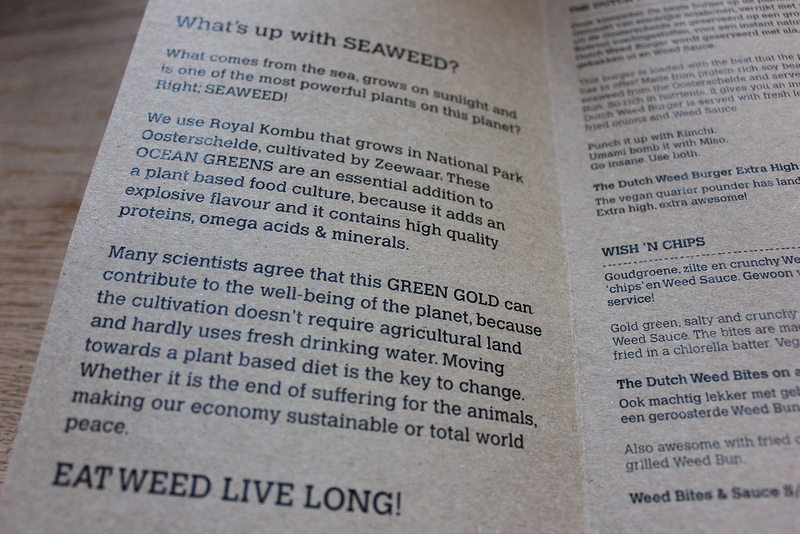 Both rich in nutrients and friendly for the planet, seaweed is regarded as food of the future. At this place they use it as a prime ingredient to develop their own unique fastfood snacks and boy they’re tasty! In 2013 vegan chef Lisette Kreischer and filmmaker Mark Kulsdom create the Dutch Weed Burger. A totally vegan burger based on soy protein and kombu seaweed, accompagnied by a unique bun based on chlorella served with a creamy sauce made of sea lettuce. 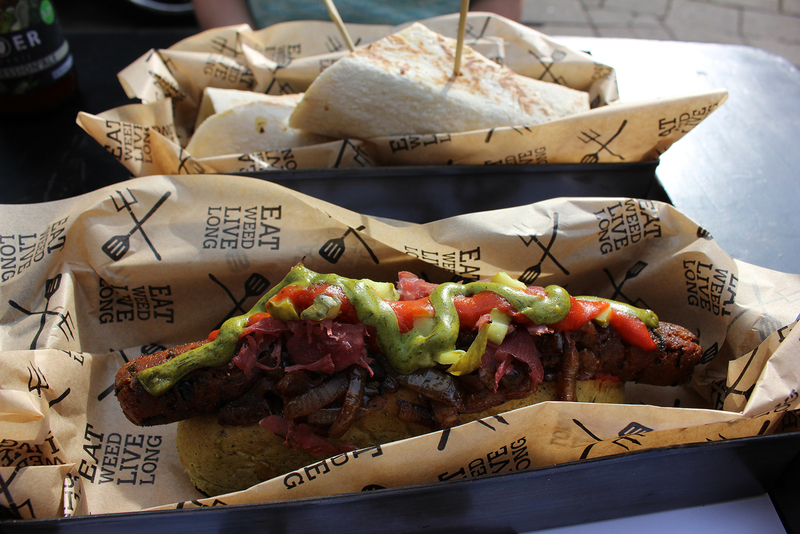 It becomes an instant hit, popular as a festival food as well as added to the menu of many restaurants nationwide. 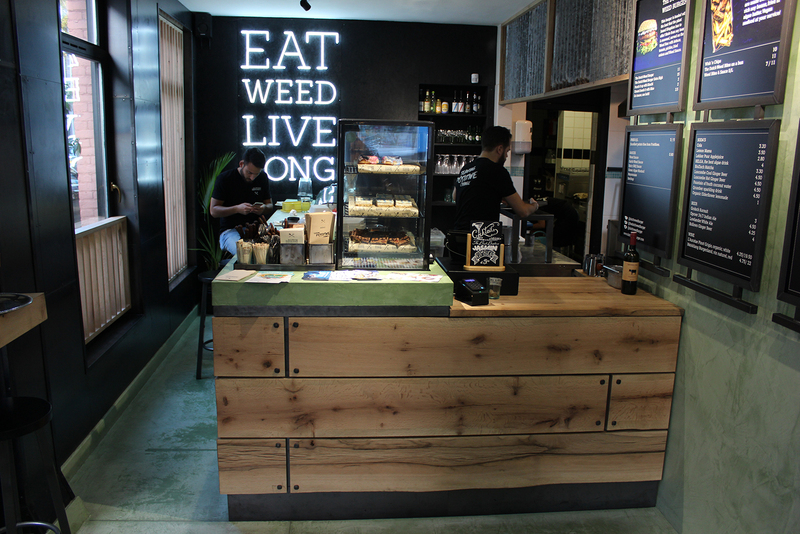 Summer 2017 the Dutch Weed Burger Joint opens, another 100% vegan place in Amsterdam. 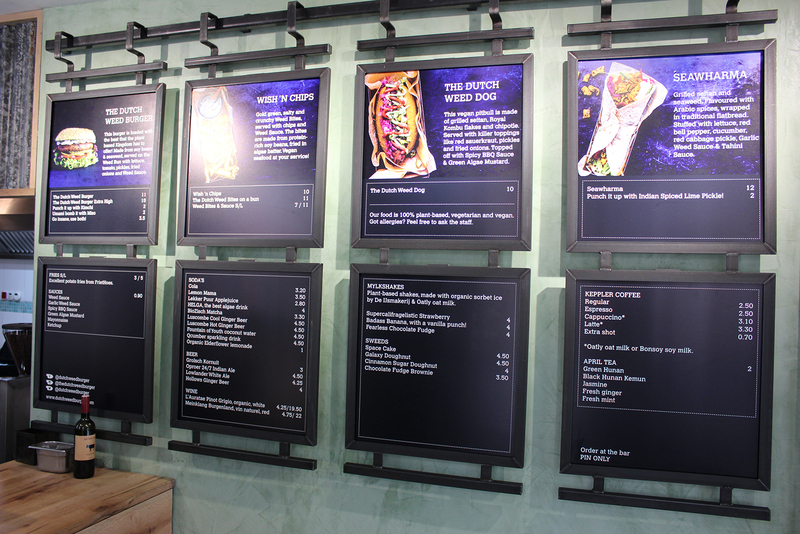 Besides the Dutch Weed Burger, the menu features their own versions of hotdog, shoarma and fish ‘n’ chips. All using seaweed as an ingredient, acquiring that umami flavour. 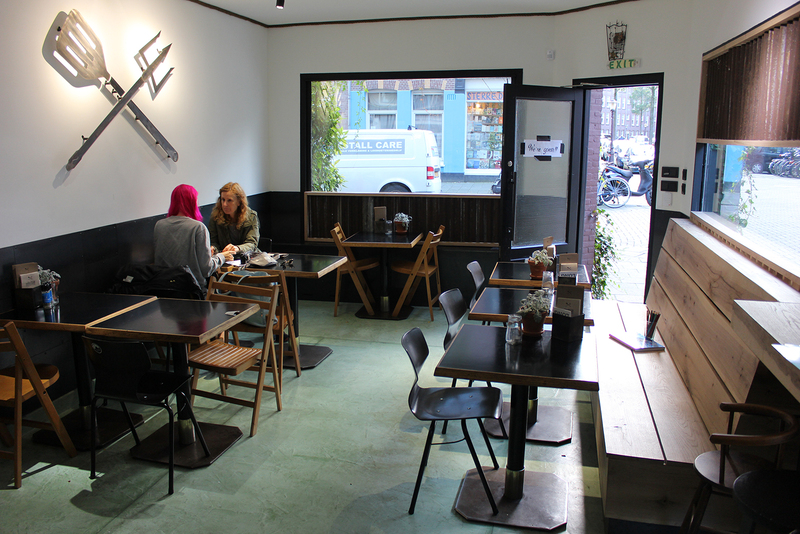 Add to this some crazy milkshakes, sweets (including a beautiful Galaxy Doughnut created by Koffie ende Koeck‘s owner Maartje Borst) and beers and you got a killer fastfood menu! 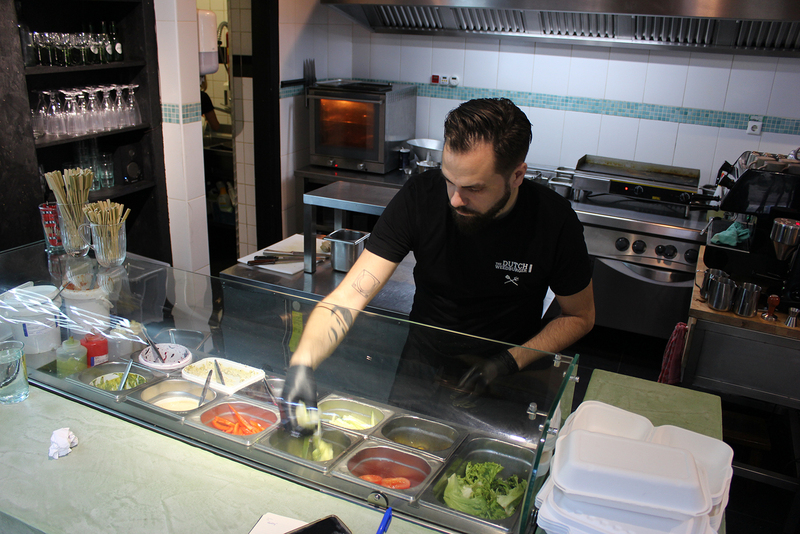 The Dutch Weed Burger Joint is located just around the corner of Kinkerstraat at Amsterdam Oud-West, a neighbourhood where many other vegan places are located as well, check out our map of vegan places in Amsterdam here. 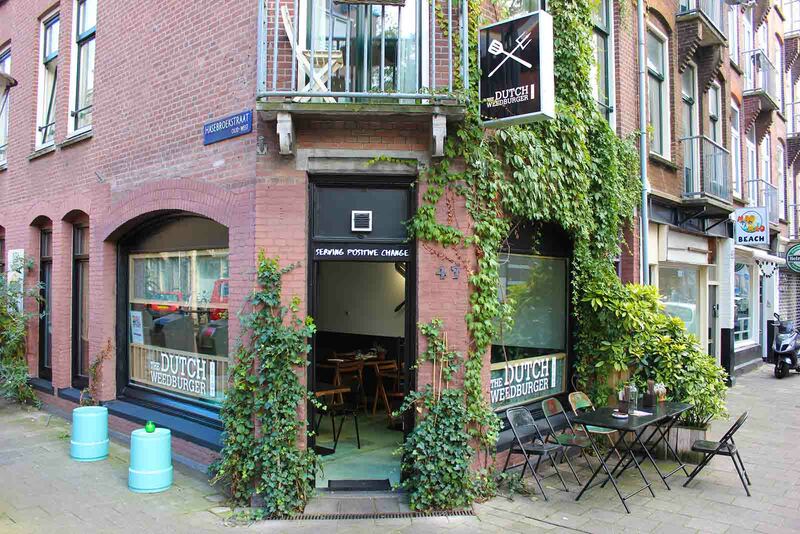 To try the Dutch Weed Burger at a different location, check for restaurants here. Meanwhile also various places abroad have shown interest in their seaweed based snacks. 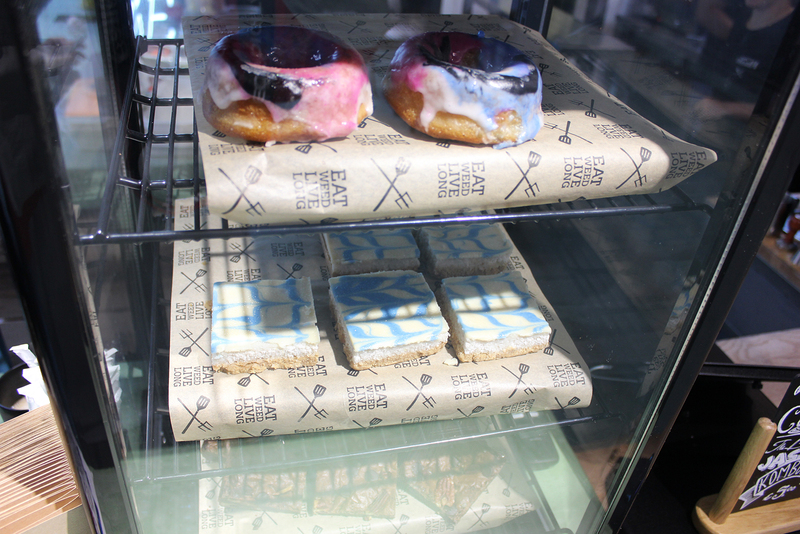 Their ambitions are high, aiming to really push plant-based food as a better alternative to the consumption of animals.